The O X Ranch is a unique ranch. The ranch headquarters sits in a unique and gorgeous valley isolated from the chaos of city life. The ranch has irrigated fields of alfalfa, oats, wheat, rye, and bermuda, beautiful rugged mountains, over 150 miles of fence, three perennial streams, and a dedicated team of ranchers and land managers. The O X Ranch is located 15 miles north of Wickenburg, Arizona (which is about 1 hour northwest of Phoenix). At an elevation ranging from 3000 feet to 6000 feet, it consists of roughly 65,000 acres of grazing land. 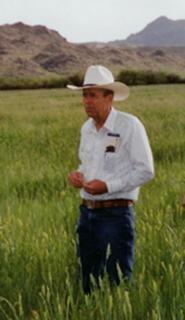 Additionally, there are roughly 30,000 acres of grazing land near Flagstaff, Arizona at an elevation of 7000 feet. We have an Angus cow-calf operation and raise steers and heifers for beef production. 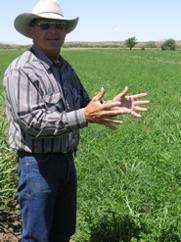 The ranch has about 120 acres of irrigated pasture, and about 80 acres of dry farming fields. Our irrigation comes from a spring producing up to 1000 gallons per minute. The ranch headquarters is located at about 3100 foot elevation. It is hot and dry in the summertime, cool and dry in the winter time. We have beautiful sunsets, clear skies, and clean fresh air and water. We love the ranching life and enjoy living in nature’s most raw beauty. The O X Ranch has been a working cattle ranch since the late 1800s. The ranch has approximately 240 watering facilities including 29 wells, three perennial streams, more than 50 dirt stock ponds, 140 cattle drinkers, one large perennial spring, numerous small springs, 43 miles of pipelines, and a 12 acre lake. It has a large barn, equipment sheds, a shop and homes for the various members of the O X Ranch team. We are able to feed our cattle grass and brouse year-round because we have irrigated fields, and we don’t have snow covering the grass in the wintertime. We have many proud accomplishments and have won many awards. We’ve been told we have the best ranch in Arizona. We think that’s true! For additional (more detailed) information about the ranch, click HERE or HERE.